Increasing productivity is one of the most important priorities for any business. 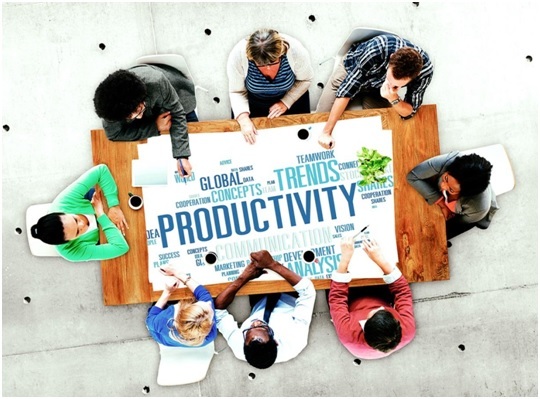 A surefire way to increase workplace productivity is to identify and avoid the so-called “productivity killers.” After a short discussion of each, Connecticut Business Centers will show you how our unique business solutions deal with these problems. A traditional Connecticut office space has its workers cooped up in cubicles. Sitting in a small, enclosed space, surrounded by walls on each side can feel claustrophobic and stressful. This negatively affects productivity. Humans are social creatures, and the desire for interaction and contact is universal. However, this proves to be a problem during work because social distractions divert attention from essential tasks. Our minds can focus on work, but every time it is distracted, it can be harder and harder to get back on track. Inefficient meetings are one of the worst uses of office hours. What should be a productive exchange of ideas turns into a waste of time due to poor communication and equipment. A bad meeting takes time away from important tasks and serves only to confuse its participants. If you want to avoid these problems, consider investing in a virtual office setup. A virtual office can allow you or your employees to work from home or anywhere else conducive to them, eliminating the tedium of working in cubicles. The flexibility of choosing an environment that promotes work can increase productivity, keep spirits up, and improve quality of work. Another benefit to virtual offices lies in its elimination of workplace distractions. You and your employees can now focus their undivided attention toward work. Work can now be done quicker and more effectively. For your meetings, we can provide first-class audiovisual materials and meeting rooms suited for any occasion and number of participants. These professional spaces will get everyone in the right mindset to share and exchange their ideas. A virtual office from Connecticut Business Centers has the best of both worlds because with our virtual office services, we can provide the infrastructure and support of a regular office, such as a prestigious business address, dedicated receptionists to take your calls and mail, and access to meeting rooms whenever you need it. If your business is open to this modern and effective setup, then give us a call. If you need a virtual office or want the occasional use of physical office space in Stamford, CT, we have you covered. We will answer all your questions and concerns regarding how to best maximize your business’s productivity through our many business support services.